RISMedia CEO and Publisher John Featherston dove into its first annual 2019 Real Estate Newsmaker nomination process during a Facebook Live event this past Monday, encouraging followers not to miss this exclusive opportunity to showcase themselves or others who are making a difference across a range of areas in the real estate industry. Watch the brief video recap here. Nominate your Newsmaker candidate here! With the industry answering the call for nominations and continued growing interest, Featherston will be going live again this coming Monday, Aug. 13, to answer more questions from industry members about RISMedia’s Real Estate Newsmaker nominations, including who can participate, what is the criteria and how those who are selected will be honored in our print and online publications, with press coverage, and with an invitation to attend RISMedia’s Real Estate Newsmaker Awards Reception & Dinner in Washington, D.C. next May. Submit your questions directly to Featherston’s video post here, or email RISMedia Communications Director Mike Dominguez at mdominguez@rismedia.com. You can hear all the details by tuning into Facebook.com/RISMedia on August 13 at 3 p.m. ET, as Featherston will address your questions about RISMedia’s Real Estate Newsmaker Awards. “Our goal is to celebrate these professionals and their achievements for the whole industry to see, and more importantly for the local communities and the people they serve within those communities to see how these leaders are helping to transform and improve the real estate industry to benefit the home buyers and sellers that we all serve today, and will be serving into the future,” stated Featherston during this week’s RISMedia’s Facebook Live event. RISMedia’s Real Estate Newsmaker Awards are designed to recognize those individuals making headlines as a result of their newsworthy contributions to the residential and/or commercial real estate industries, and their efforts to positively affect real estate professionals and their consumers and communities they serve. Hundreds of Newsmakers will be selected and profiled in the December issue of Real Estate magazine. 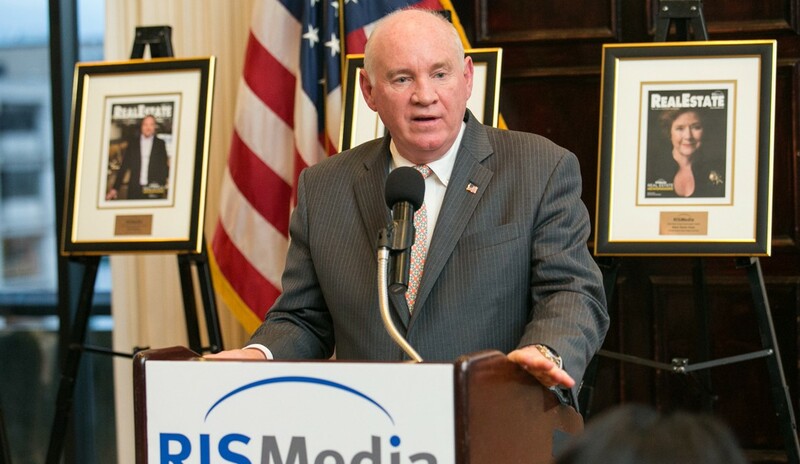 A select group will be recognized and inducted into RISMedia’s Real Estate Newsmaker “Hall of Fame” in May of 2019 at the Real Estate Newsmaker Awards Reception & Dinner, held at the National Press Club in Washington, D.C.
Inaugural Newsmaker Hall of Famers, inducted this past May, included Bob Goldberg, CEO, National Association of REALTORS®; Helen Hanna Casey, CEO, Howard Hanna Real Estate Services; Joseph Rand, Chief Creative Officer, Better Homes and Gardens Real Estate Rand Realty; Elizabeth Mendenhall, 2018 President, National Association of REALTORS® (NAR); CEO, RE/MAX Boone Realty; Matt Widdows, CEO/Founder, HomeSmart International; Ron Peltier, CEO/Chairman, HomeServices of America; and Teresa Palacios Smith, VP of Diversity & Inclusion, HSF Affiliates. If you didn’t get a chance to attend RISMedia’s Facebook Live event, check out the recap here, and make sure to leave any questions in the comments to be addressed on August 13. Ready to nominate a candidate? Click here!